In January of 1981, Lee Miller was attending a DDA meeting. Ideas were being considered to tie a business to the Bangor theme of "Train City U.S.A." It all led to the utilization of the old depot, which had set empty for some 27 years. The building was renovated and the Bangor Train Factory was created. 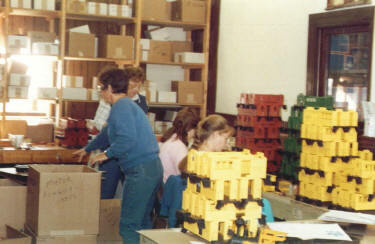 Three or four employees were then hired to begin manufacturing a toy train. They started assembling cabooses, locomotives and tenders. By 1982, it became necessary to enlist the help of Lee's brother Duane, (on the right) who became an investor and managing partner in the business. The company produced a durable indoor /outdoor train with a built-in sound system that produced a realistic whistle and chugging sound. 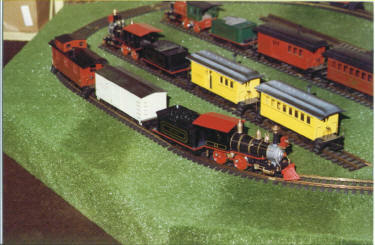 Several different engines, tenders, freight cars, passenger cars and cabooses were assembled. 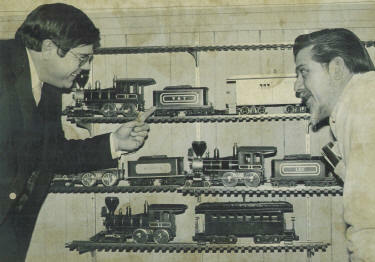 A typical packaged train set consisted of an engine, tender, two cars and a set of track. 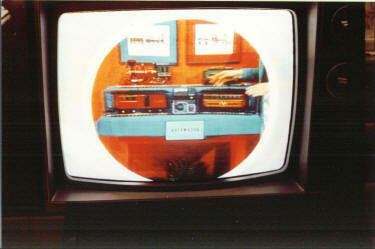 Molded plastic parts were made in Oshtemo and shipped to Bangor for assembly. 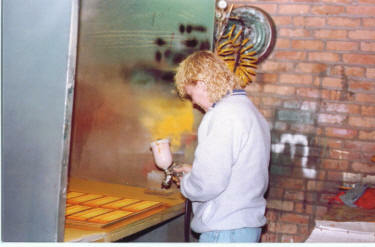 The cars were painted locally with several coats, and then graphics were added before they were sent down the line. In early, 1983, the train was used as a prize on the television show "The Price is Right."